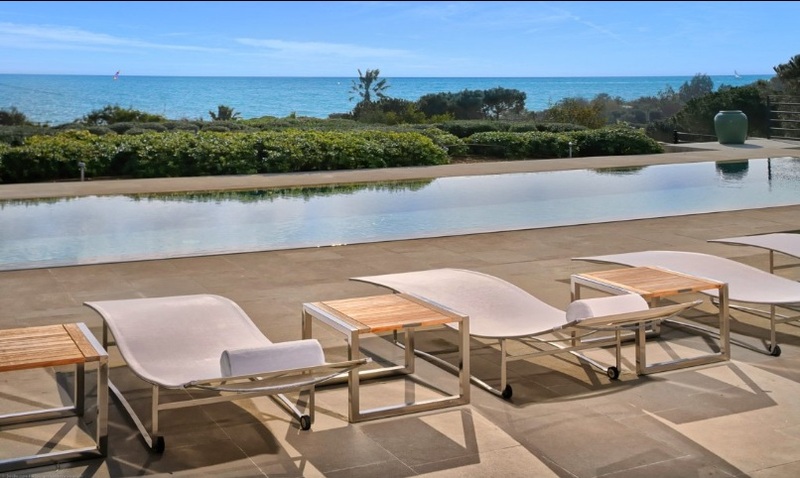 The villa is situated 5 minutes walk from Pampelonne beach and the beach clubs, Club 55. 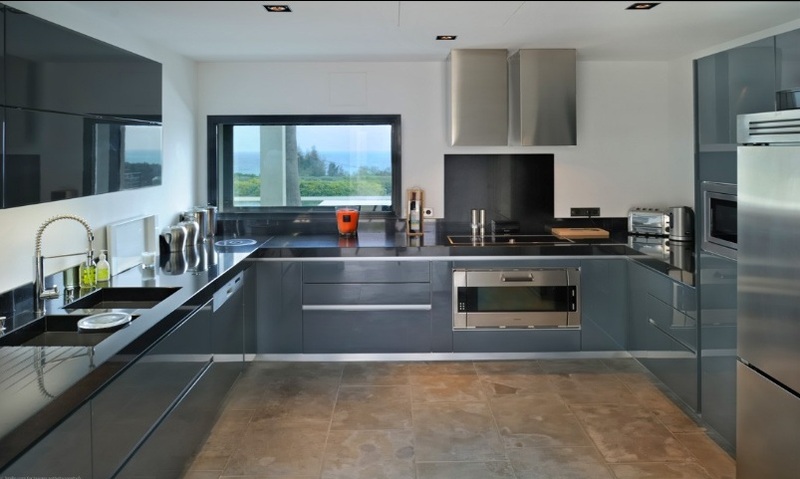 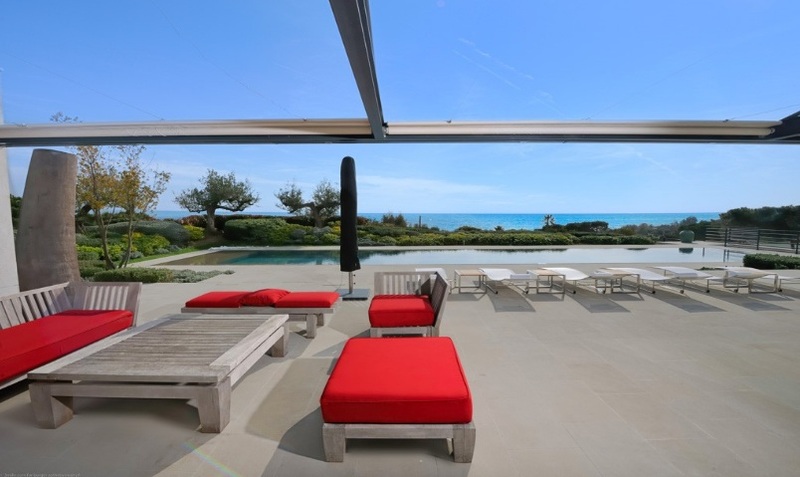 It is hidden in a private secure domain, overlooking the bay of Pampelonne. 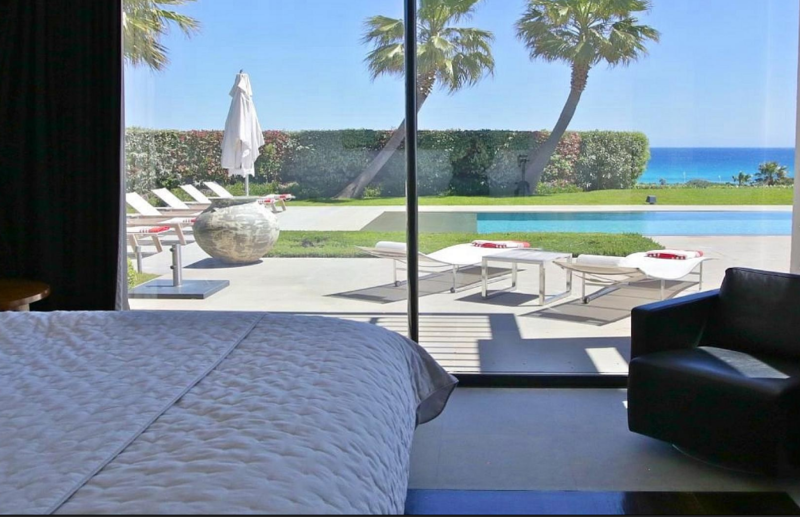 You can walk to the beach or drive to Saint Tropez in 10 minutes. 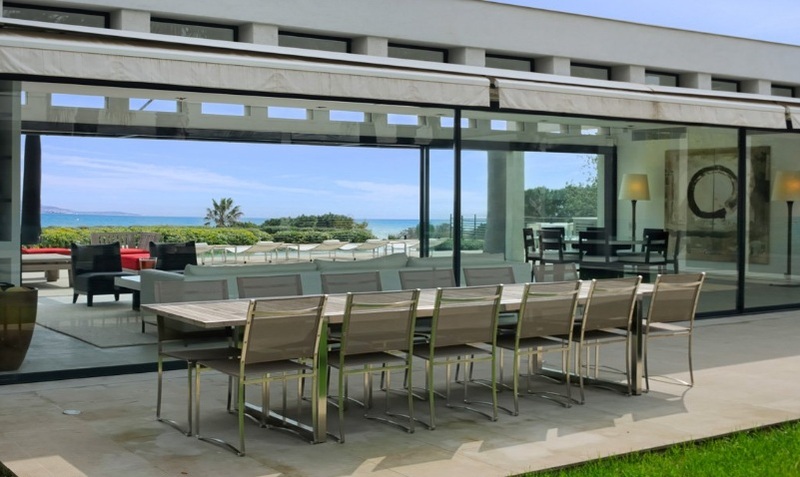 A pure white contemporary feeling overwhelms this spacious villa. 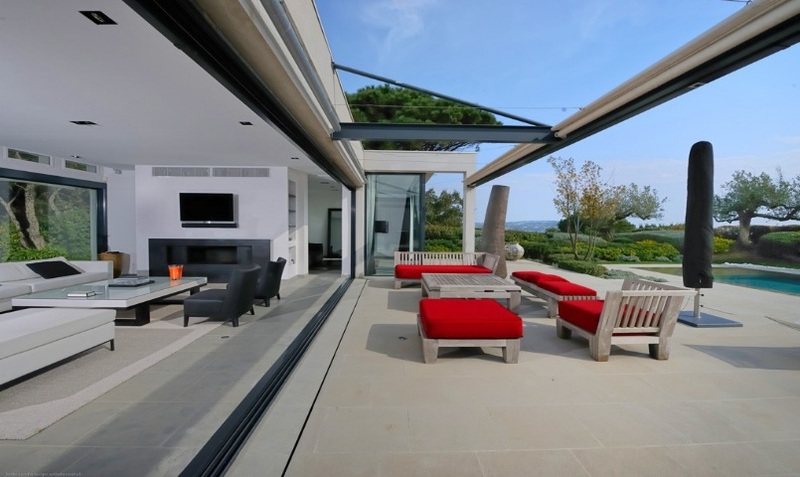 The architecture is fascinating, linear and airy opening on all sides of the villa with stunning sea views. 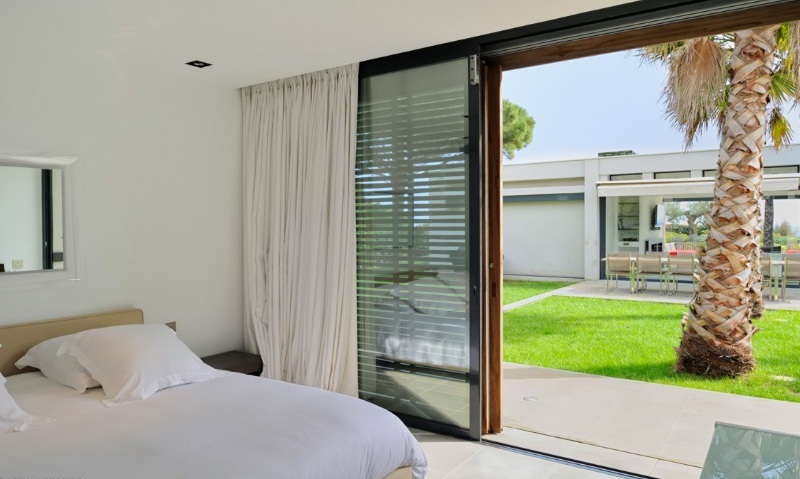 The main part of the villa hosts two ensuite master bedrooms. 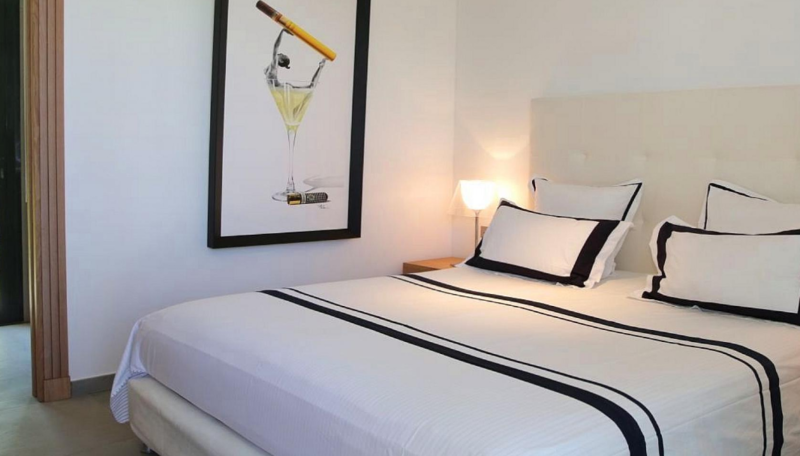 There are 4 guest bedrooms which can be accessed from the patio. 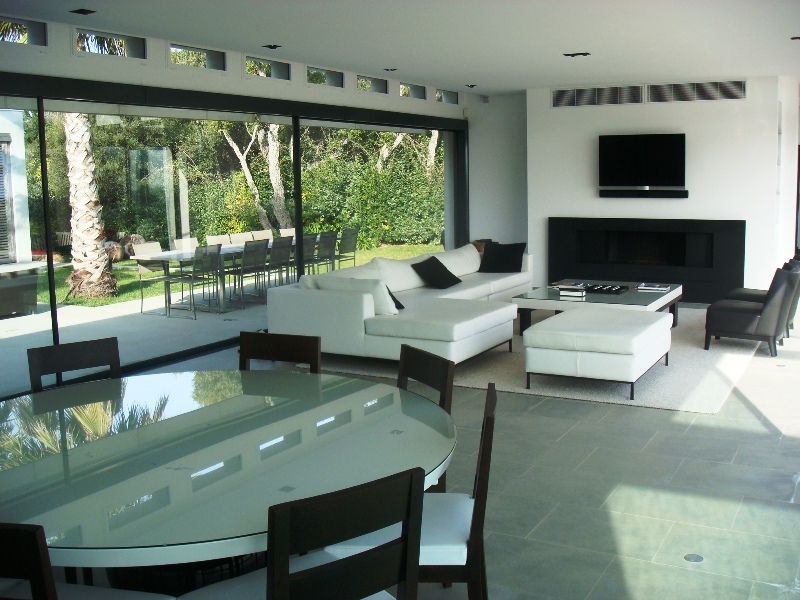 An open plan living dining area which has large bay windows that open on the the pool area and patio area, breathing in the sea view. 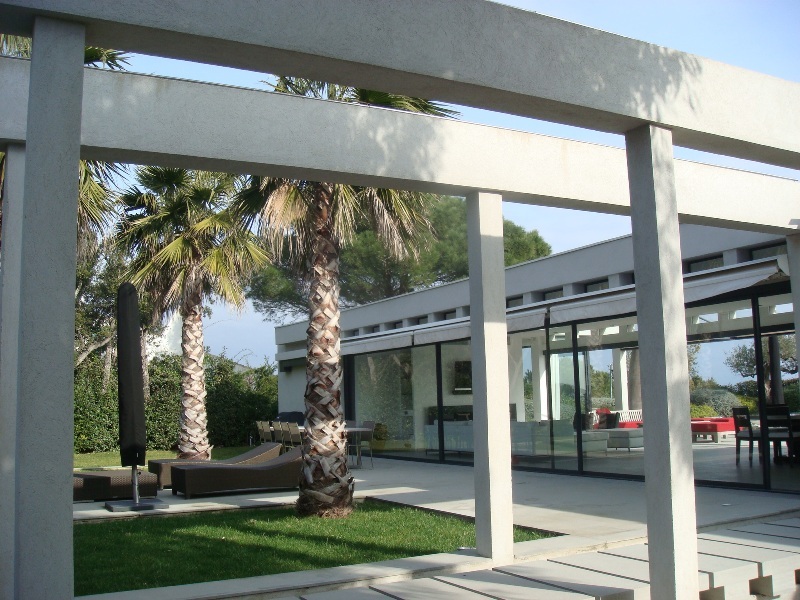 Palm trees dominate the villa on all sides and give an exotic Mediterranean feeling. 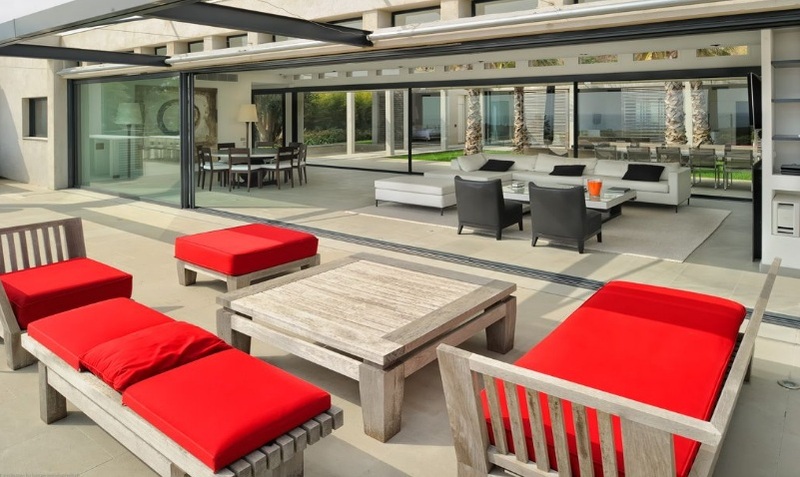 There is also a Bose music system around the pool area for evening relaxation.